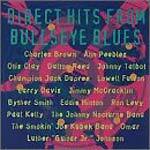 CD review: "Direct Hits From Bullseye Blues"
Taken from various releases over the past few years from Rounder's blues subsidiary, Bullseye Blues, this compilation features some of the best R&B and soul laid down over the last decade. Ann Peebles, Paul Kelly, Dalton Reed, Jimmy McCracklin, Irma Thomas and Otis Clay are all from the Stax/Volt school of classic soul music. On the blues side, Lowell Fulson, Luther Johnson, Larry Davis and Byther Smith all play various shades of postwar electric blues. The late Champion Jack Dupree's cut is the most traditional on the set. Listeners who tend toward more traditional forms of blues might find this collection too diluted; those who enjoy R&B as well as straight-ahead blues will find this to be one of the most rewarding collections in some time.